Home › FREE WRITING › Dear followers please reblog the following!!! Please could you all reblog this post, even if you don’t live in York; or England for that matter. Rory is a grand lad. I first met him when he was only a toddler through his dad and my old head chef and mentor, Doug. 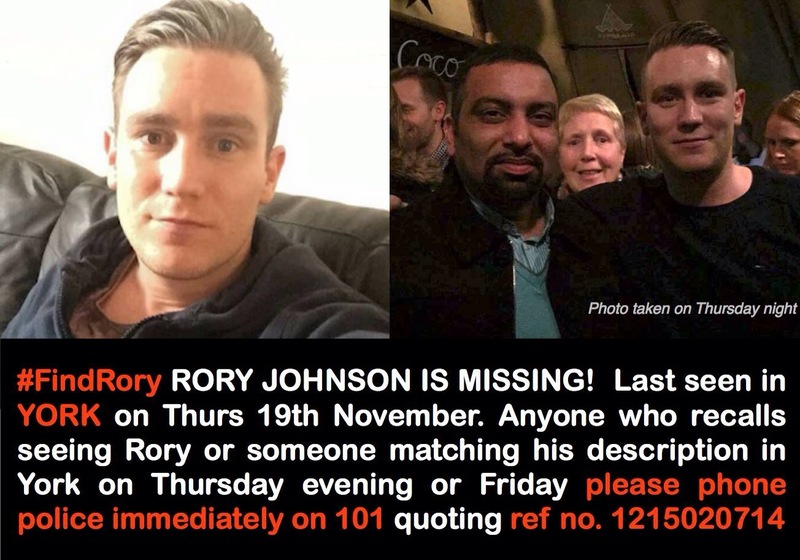 He sadly went missing late Thursday night and his family need as much help as possible in locating their loved one. Thank you to all who help!